The North Atlantic Treaty Organization (NATO) is being heavily criticized for civilian casualties and a series of bombings apparently targeting essential non-military infrastructure in Libya, with some observers calling the actions war crimes. The Libyan rebels being supported by coalition forces have also been accused of wanton savagery and even crimes against humanity. Most recently, a NATO bombing campaign near the Libyan city of Zlitan earlier this month reportedly killed almost 100 civilians — more than half of them women and children. The attack sparked a new wave of outrage worldwide as journalists and activists called for investigations. Representatives of the Gaddafi regime took a large group of foreign reporters to the site. They were reportedly shown bodies of women and children, including the remains of a baby. Multiple bombed out homes were also presented to international journalists. The Western military alliance defended the strikes, saying they were against “legitimate” targets. According to NATO spokespeople, the coalition believed the town was being used as a staging ground for pro-Gaddaffi forces and tribes aimed at repelling an upcoming rebel invasion of Tripoli. Other reporters who toured the site offered similarly devastating analysis of what happened. 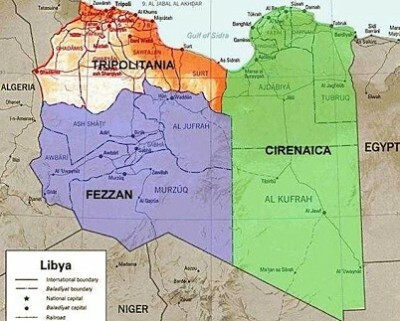 Mahdi Darius Nazemroaya with the Centre for Research on Globalization said civilians in Tripoli and other major Libyan cities were “bombed indiscriminately by NATO” in recent weeks. In addition to the hundreds or even thousands of “collateral damage” deaths so far, NATO is also under fire for air strikes on civilian infrastructure. On July 25, the Associated Press reported that the international coalition bombed a hospital, leaving several doctors dead. On July 30, NATO warplanes also repeatedly bombed a Libyan television station, killing three and injuring 15. Surviving journalists blasted the attack and called for international support from other reporters. Countless press-freedom groups including the International News Safety Institute and the International Federation of Journalists have demanded an investigation of the attack. But NATO defended the bombing, saying the TV station was being used to spread pro-Gaddafi propaganda. A separate incident in early August involving NATO’s alleged failure to rescue ocean-bound refugees in distress has also been widely criticized around the world. According to news reports, up to 100 people died escaping Libya on a rickety boat after the engine died and nearby NATO ships failed to respond to SOS calls. “The idea that NATO, with all its surveillance technology, was not aware of a boat of this size is a story that not even Little Red Riding Hood would believe,” charged Italian Parliamentarian Roberto Castelli. The government of Italy has requested an inquiry to find out why the refugees were apparently left to die. The internationally backed rebels trying to seize power in Libya have also been accused of numerous war crimes and wide-scale barbarity — some of it too horrendous even to mention. Numerous gruesome videos have been posted online showing beheadings, lynchings and other crimes, proving that at least some of the allegations are true. As The New American and countless other sources have reported, the NATO-backed rebels are, in many cases, led by self-described leaders of al Qaeda and other extreme Islamic groups that have boasted of battling American forces everywhere from Iraq to Afghanistan. Some of the leaders are even former U.S. prisoners who were held in Guantanamo Bay. Suspicions about the rebels’ true motives and supporters were also raised when the self-proclaimed Interim Transitional National Council announced the creation of a new central bank weeks after the NATO invasion. It remains unclear whether the new monetary authority will follow the Gaddaffi regime’s state-owned model, or if it is to be privately owned like the U.S. Federal Reserve. Though Western powers were arming the rebels well before intervention became official, the Obama administration and NATO publicly intervened in Libya in mid-March to enforce a United Nations resolution. Since then, the “mission” has morphed into “regime change,” with foreign powers hoping to oust dictator Gaddafi and install the rebels as the new government. Without congressional approval, which Obama himself acknowledged in 2007 is required by the U.S. Constitution prior to foreign militarism, critics have charged that American involvement is itself illegal. And while the administration has already informed Congress that it would ignore any attempt to rein in the war, critics worldwide are still hoping that there will eventually be some accountability and justice if crimes were indeed committed.